The Insurance Regulatory and Development Authority (IRDA) has said that those suffering from HIV/AIDS or other pre-existing illness will have to pay higher premium for life insurance policy. The IRDA circular necessitating insurers to provide insurance cover to people with HIV/AIDS, is likely to come into effect from April next year. The regulator had come out with the draft circular in October this year. The circular also states that if an insured is HIV negative at the time of signing the policy, and later found to be HIV positive during the policy term, the insurance company can't reject/deny any claim, on such grounds and in all such cases, the underwriting guidelines and claims settlement guidelines applicable at the time of commencement should be applicable. Insurers would be required to put in place procedures for underwriting and claim settlement, and proposal form before that. Persons living with HIV/AIDS or other pre-existing illness will have to pay higher premium, based on commercial considerations for life insurance, said IRDA Chairman Mr. T.S. Vijayan. 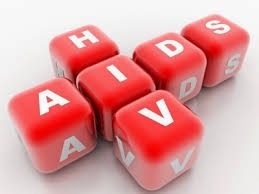 A few insurers have already initiated proving insurance cover to people living with HIV/AIDS. I am sure more companies will bring policies, Mr. Vijayan added.